This Week In Games: Get Over Here! Compromised accounts tied to No Man's Sky developer Hello Games led to a series of faked official statements today calling the ambitious space exploration game "a mistake". Two sources close to the development of the game indicated to Kotaku that that "mistake" tweet and subsequent emails sent purportedly to press by Hello Games chief Sean Murray were the result of a hack. 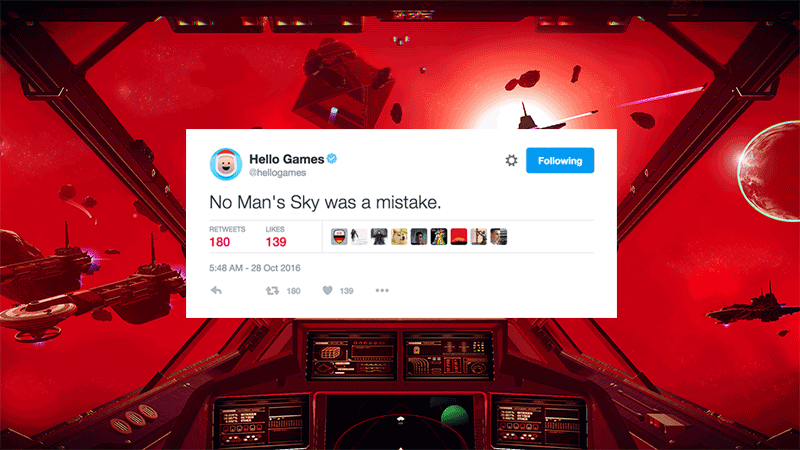 It started with a tweet posted to the official Hello Games Twitter account last night around 11:48PM AEDT. "No Man's Sky was a mistake." Suspecting the account was hacked or otherwise compromised, Kotaku reached out to Murray at Hello Games via an email we'd communicated through in the past around 12:30AM AEDT. We asked whether the Twitter account had been hacked. 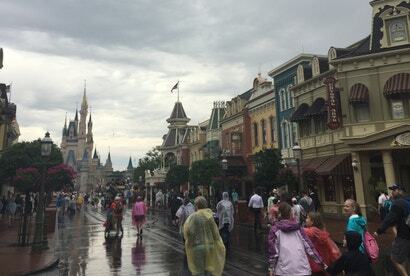 The response we got was: "No, the tweet was not a hack, but rather a disgruntled employee. The email that we sent however was official." Forbes and Mashable, who both reported on this this morning, both say they were also that the "mistake" tweet was from "a disgruntled employee". 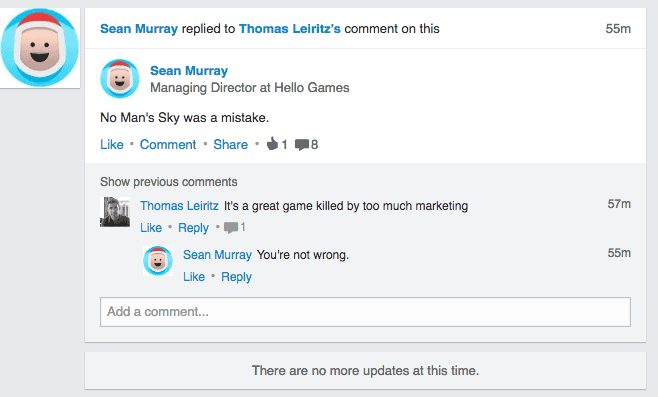 Mashable was reportedly told by someone using Sean Murray's email, while the email to Forbes was from a Hello Games email account that Sean Murray has used in the past. Based on a screenshot in the Forbes article, it appears to be the same email address we'd been communicating with. It's unclear if those emails were legit. We had been given the same line, but when we followed up it became harder to believe this was really Sean Murray e-mailing us. No Man's Sky was a mistake. I have contacted you because the silence from Hello Games has been unwarranted and unprofessional. 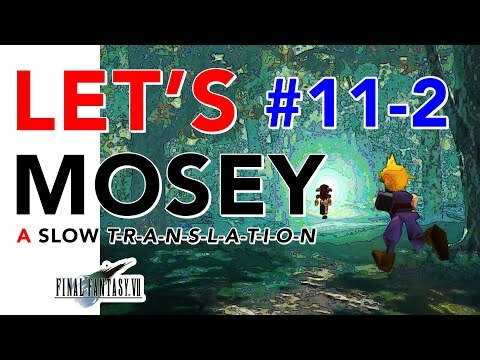 The community has asked me to speak up, and I have a confession to make. The game was simply unfinished upon arrival. Our hand was forced by not only Sony, but the community as well. The constant harassment and absolute gross misconduct on the community's part has made it hard to fulfil our artistic vision, while the pressure from Sony to release the game as soon as possible forced us to cut key features. 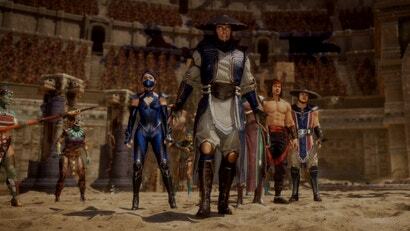 I want to apologise for what we did not deliver on, as the game does not meet up to what our artistic vision was. However, we do wish that the community was more understanding of our situation. Many people have asked for refunds despite our promise to continually improve and update No Man's Sky. We are just a small studio that has poured our blood, sweat, and tears into this project. The complete lack of respect when it comes to the work we have done absolutely saddens not only myself, but the team as well. We want to improve the game to the point we dreamed of it being and beyond. The information given to us via email exchanges didn't line up with that given to Polygon, who were told by someone identifying themselves as Sean Murray that the original tweet was posted by Sean himself but removed by an employee. As it turns out, the original "mistake" Tweet was sent through Sean Murray's LinkedIn account, suggesting that the business networking service may have been the source of the original breach. If anything was a mistake, it was using Linked In without 2FA. No Man's Sky was released in August of this year following multiple delays, having built up a tremendous amount of hype since the first teaser trailer debuted in 2013. Many of the features demonstrated or suggested during the game's development period did not make it into the final build, and many feel the final product was rushed to market unfinished. 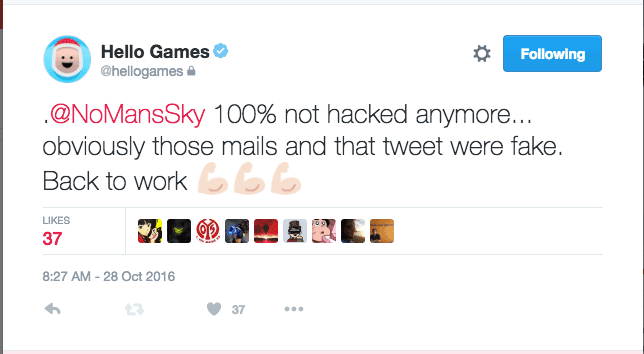 The hacked message was the first tweet posted to the Hello Games Twitter account since September 24. It's quite possible that someone frustrated over the developer's silence acted out. So either everything's fine, or everything's still hacked and we'll never know what's real or fake ever again. So they're not sorry about the game not being polished as well as it should of been? Was customer information compromised in this attack? Depends how much customer data was stored in Sean Murray's Twitter account. Hacking is no joke, but that 'Mr Robot' crack made me laugh. It's 10 p.m. and I'm being hunted by three furious 20-somethings in a pitch-black National Forest. They're pretty pissed off right now. It's like I've lined up all of their mothers, gotten a good running start, and combo-slapped the bunch, Mexican wave style. All of the champagne swear words are coming out, too, folks. F 'n' C combos, mostly – a rural Aussie classic. The vast, empty bushland around us echoes their rage back to sender, doubled. It's a racket loud enough to disturb a colony of flying foxes who screech back in annoyance, as if they're angry Zubats about to be caught. Like me. How did I get into this predicament? That requires a little Pokemon Go lesson and a fifteen-minute rewind of this pretty unheroic tale. What Was Your Favourite Game Boy Game? Easter Sunday wasn't just a religious and public holiday celebration. 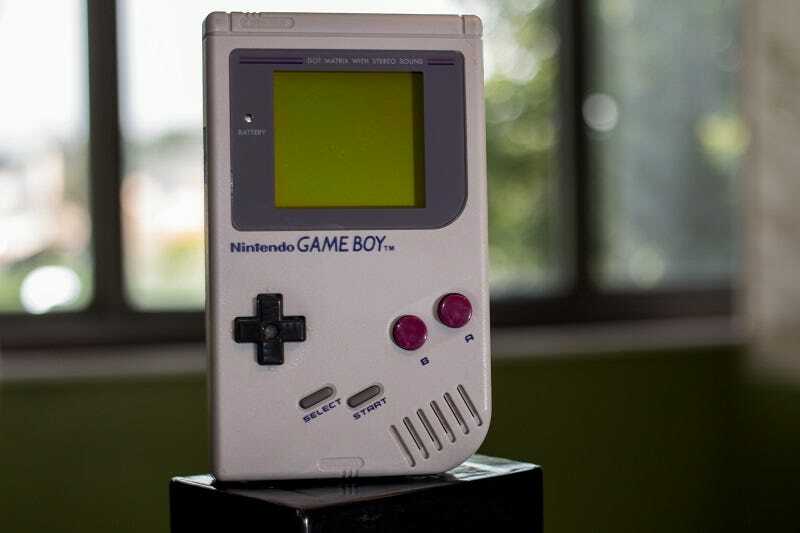 It also marked the anniversary - in Australia, at least - of the humble Game Boy, the handheld console that conquered the world.